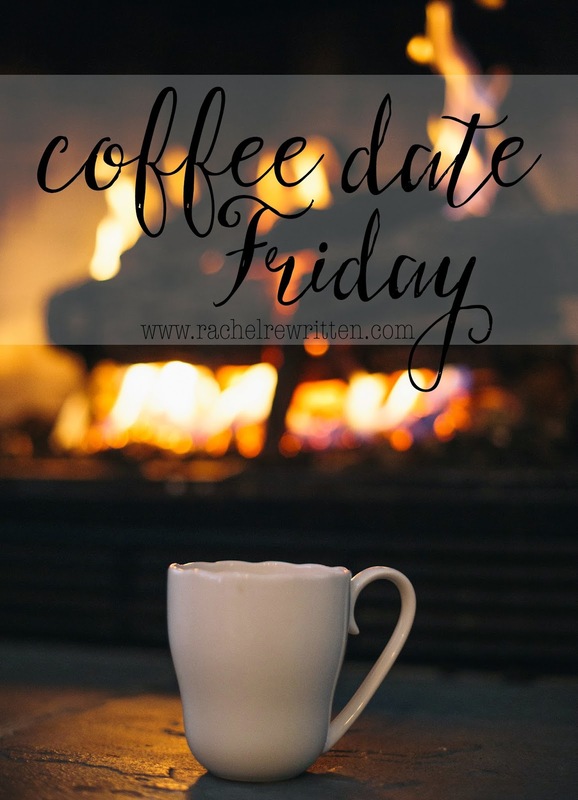 I don't know about y'all, but I'm really starting to grow fond of these coffee date Fridays. I love ending the week with y'all, sharing my heart and getting to hear what's on your mind too. It's such a fun way to slow down and just talk, no agenda and no obligations to fulfill. What a way to welcome the weekend. We may have to start making this a more regular thing! Today, I think I may skip my coffee in lieu of some hot chocolate with big fluffy marshmallows on top. Those marshmallows seal the deal for me--any drink with marshmallows on top is right up my alley for this time of year! Let's get to coffee talking, I want to hear how your week has been and what's on your heart today! // Andrew and I (and some couple friends of ours) are going to see Garth Brooks tonight and I am literally counting down the hours. I'm not the biggest fan of country music, but Garth is classic and has always, always been my favorite performer ever! You'll probably see numerous pictures on Instagram tonight. // My sweet husband surprised me with the best Christmas present ever... a brand new car! We've been discussing getting one for a couple of weeks now, but I never expected to have one this soon! If we were having coffee today, I'd have to make you take a spin in my new ride! // Work has been crazy. Literally the busiest few weeks ever, thanks to our new computer system that makes everything a little slower + lots of babies. I think we'll get the hang of it eventually, but I've spent more hours at the hospital in the past two weeks than I have all of last month combined! I'm so thankful to have a job and glad that I love what I do, but gracious, I need a break. // I've been struggling a lot this week with balancing a busy schedule. I don't know how to say "no" to a lot of things, and that gets in the way of the things I really need to be focusing on this time of year. Especially with work being so busy, I'm learning slowly just to say no in certain situations and that a busy schedule doesn't always mean I'm being productive. The Lord has been teaching me a lot about how I spend my time and how I can use those hours to glorify Him. This print sums up how I've been feeling lately...no matter what crazy schedule life throws at me and no matter how busy I may get, let me always put Him first. He is the reason for this season and He is the only reason we celebrate! I have to remind myself of this thought often, but He's calming my heart and helping me to slow down to enjoy this sweet season of Advent. Linking up with Jenna from Dearest Love!